When my husband and I spent a lot of time poring over real estate listings (I say this as though it was in the past – we still do, even though we’ve just signed the P&S for our new home! ), we came across an interesting little gem. 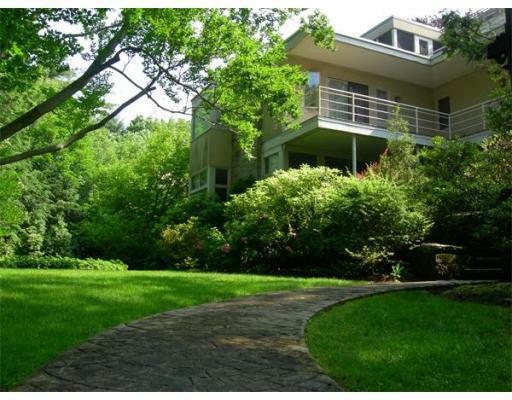 In our hometown of Newton, Massachusetts, there is a house for sale that was designed by Walter Gropius. 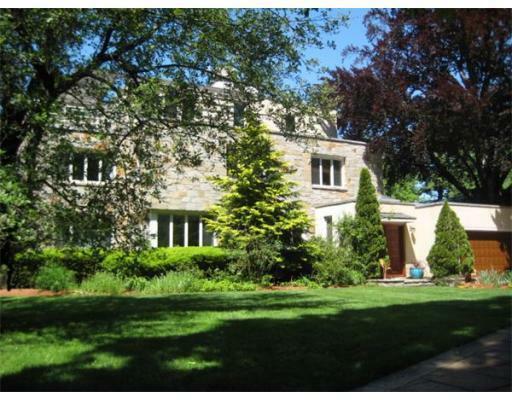 It’s sure not the only one around here – the Bauhaus school founding father had several residential commissions in the Greater Boston area while he taught at Harvard, but I don’t believe they come onto the market all too often. It is a tremendous opportunity for someone who is passionate about authentic mid-century modern design…and has a boat-load of cash. It’s not the most ‘famous’ of his American houses (that’d be the Gropius House in Lincoln – the architect’s own home), but I was pretty excited to be able to have a peek inside, albeit online. And I have to say, it wasn’t what I was expecting, being familiar with the industrial austerity of his best-known work. I was surprised to see the use of stone, and the warm honey-blonde woods on the interior. I was also, unfortunately, surprised to see how un-thoughtfully the interior was designed. A house like this deserves more than that. There are also some updates that need to be made – in particular, the kitchen, which looks straight out of Wall Street (the movie, not the place). 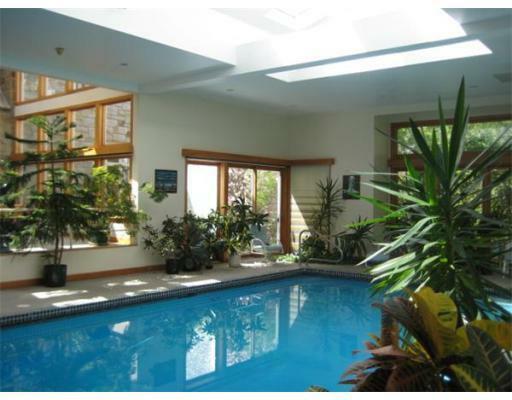 And for a property currently listed at nearly $4.3 million, you’d think the seller’s real estate agent could have sprung for professional photography! Sheesh. All of that aside, though, finally getting to the point of this post which is…what do you do with a house like this? How would you approach a renovation of such an important property with historical significance? How do you design and decorate a house that clearly was meant to be something else, but also needs to be a comfortable home for the family that ultimately purchases it? Hire professionals, no doubt, but from a philosophical standpoint, I’m curious to know what people think of this. Wow! This house is really incredible. 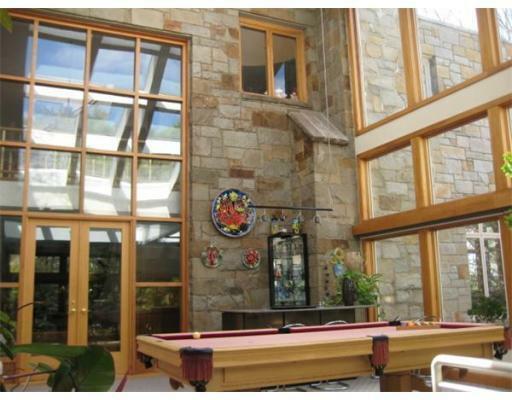 All the gorgeous wood and the light provided through those amazing windows would definitely keep me happy! 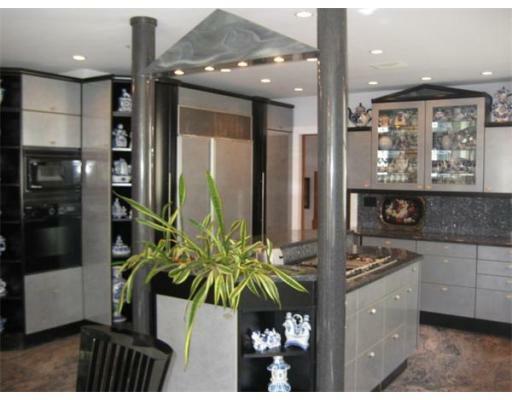 But ugh – the furnishing really are pretty awful… and that kitchen is definitely “wall street” (welcome to the 80’s!) From the pictures it looks like it’s in pretty decent shape so from just looking here… for me it would be a matter of just “taking out” and updating. 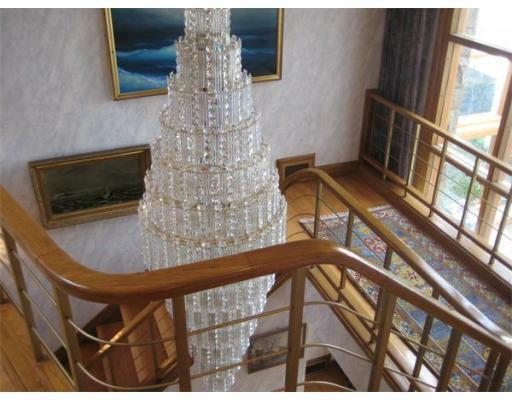 That chandelier is gorgeous… but seems out of place in this house. Maybe that’s just me?? Taking down wallpaper and replacing carpeting with hard surfaces ( the wood floors in the 4th pix are gorgeous). 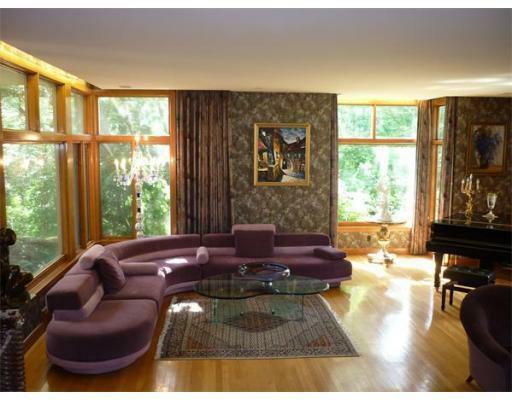 Imagine that 4th picture without the heavy drapes, and dated wallpaper with some more modern furnishings and the room would be fabulous. Those columns in the kitchen would have to go. I wonder if they serve some sort of load-bearing purpose? Weird looking, isn’t it? 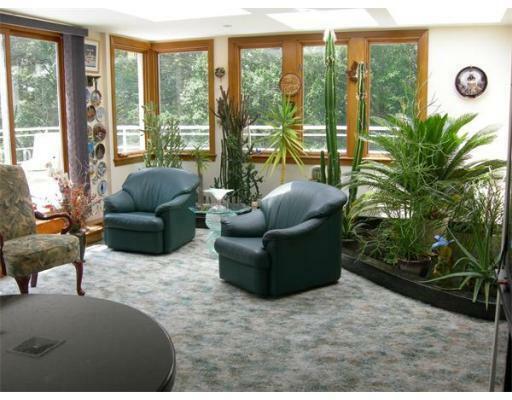 personally I think the house just requires a good interior decorator. Kelly, I think you could really whip this place into shape!! Fun to look at and think about. Thanks for sharing. Totally agree – very fun to think about ‘what would I do…’ It’s been on the market for awhile, so I guess they’re still waiting for the right buyer to come around. I didn’t show all the pics in the listing, but the grounds are also unbelievably gorgeous. The house itself is gorgeous. It’s a crime what was done to the interiors! Some people rescue pets; if I could I would rescue buildings. 🙂 Thank you for this post! I love the idea of rescuing houses and spaces – so true, and made me smile (thank YOU for that! ).